Oh, we are sorry! There is no description of Payeer, yet! All Payeer reviews are manually approved and verified. It appears Payeer’s days are numbered. Beware. Far as I can tell this site has lost access to the U.S. Federal Reserve system (sanctions? ), which has resulted in them recalling and cancelling all of their credit cards and (it appears) losing the ability to transfer money from your account to IBAN numbers of other accounts. Their user interface, while graphically attractive, is a hot mess — I can’t figure it out. But it appears that the only thing you can do with money deposited at Payeer is use it as cryptocurrency or via transfer to others using a short list of other payment platforms (i.e. AdvCash). If you’re like me and have other needs, such as paying into the BANK ACCOUNTS of others, this system is no longer capable of doing that despite their marketing materials (which make all kinds of false claims). Again, beware. Well, they didn’t steal my money, but I was starting to worry that they would. Thus, not one star. After following the advice from customer service, I got a Mastercard debit card here in Japan that they would be able to send money to. Didn’t work. Got a different card on their instruction, didn’t work. I repeated this process twice and also they were unable to verify my identity with three pieces of ID. Then, without warning or notification, I found that they don’t send money to Japan or the US. (Where I live and am from) It started to seem like I would never be able to get my money… After struggling with the customer service for months trying to get my dollars out, I finally gave up, converted to bitcoin and sent them elsewhere. I love the fact that Payeer is adding more cryptocurrencies pairs at this moment. Withdrawing with LiteCoin is almost free! Well, they have beautiful interface, But they have awful Support, who does not care about their clients at all, they are not responcible for nothing, and they connect scam projects to their system without taking any steps to protect their clients. Also they have too much high fees, it can come from 5 to 10 percents. Verification takes forever. I do not recommend! It’s a really nice system and works great, though I dislike a little bit the fact that you can’t file any disputes. I really like Payeer. Exchanged money several times there, opened my own automatic exchange website. Never had any problems with that. If I have any questions the support will answer them really fast. Overall it’s a great payment system in my opinion, and it is really useful for me as it makes dealing online so much easier. I’m happy with their service because of its secure and established automatic exchange service. It’s easy, fast and efficient automatic exchange service for me and my business. Already using them for over 2 years almost on daily basis, can say only good words. No problems with payments so far..
We are using payeer for accepting payments on several sites that we are managing right now, so far we got payments in time, their currency exchange is better than any other alternatives and also they are not so strict about accepting new merchants like other payment processors. If you get approved, they will release your limits on card (with unverified account, you can withdraw from ATM I guess like 300 dollars or something like that). But paying with card is just like paying with your normal one…..
Today I just received my prepaid payeer card – so there is my review … Unfortunately my verification was a little bit painful, because I was waiting for at least 10 days to get approved. If you are familiar with Payoneer, then Payeer is very similiar except very different companies are accepting payeer. Mainly it is for proven “risky” side of the internet like casinos, poker and so on. Currently I am using for withdrawals from one poker room and so far to be very honest, never had single issues with them. Nowadays I am investing into some HYIP programs (cannot tell, but so far it is profitable). There were I guess like three payment options and one of these were payeer. In the beginning I was like ..oh another Paypal alternative with high fees. But to be honest I very like the interface, the payeer mastercard (which is crazy, that you can have usd mastercard even outside usa). So far I can really recommend this payment system, because it works like a clock. I guess we can start call it serious Paypal alternative! I love that I am paying from my company directly to Payeer account and then I can easily withdraw money from my Payeer debit card. So there is my Payeer review – It is really great reliable payments related service, fees are a little bit higher but overall I can only recommend them! I was struggling with my old e-wallet (I dont want to mention which one cuz am not here to hate) so I decided to make a change about 8 months ago. The reason of my struggle was mainly caused by poor support, the services were fine I think (but my opinion is not that worthy, since I was a real noob). 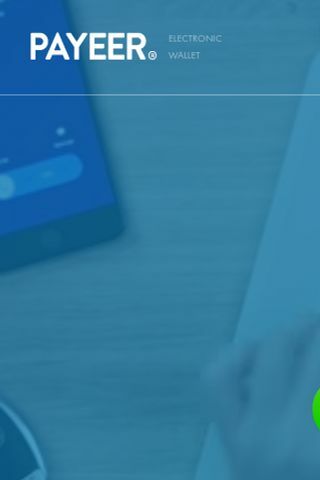 With Payeer, things changed alot for me, so the main point of my decision to change the payment processor was achieved. Payeer helped me fix my old mistakes and whats more, their amazing support team made me know evertyhing I need to know, so I simply cant make a mistake (ofc I can but I didnt call them since they made it clear to me, for real!). I can only suggest you to go on with Payeer, wheter you are struggling with your current e-wallet or you are just looking for something fresh, friendly and trustworthy. I dont want to attack any other platform, I think Paypall is great too and I know lots of peaople using it for years. 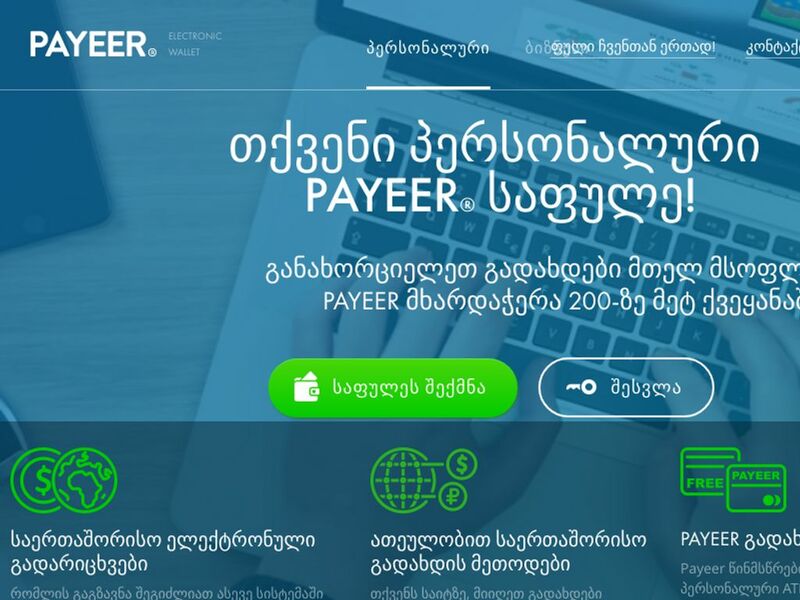 But somehow, Payeer just caught me with its trendy features and amazing team, which is becoming legendary as I read through these articles and comments! I think its awesome when someone can bring friendly and human atmposhere to such a boring and unhuman process, keep it up please!! I was looking especially for an automation of every payment process that needs to be done daily and Payeer gives me excatly what I want. By that I mean that I can completely rely on them with a good feeling in heart that my money and all of my transactions are in a good hands. I think that it is the main point of everyone to have that feeling, when we are deciding aboout payment processor. I was pretty pleased with even more features that Payeer brings me – like I can accept payments from over 150 different payment processors (even BTC) or I can easily connect to advanced API tools (which is for me, as a webmaster, a crucial thing). Its simply because of knowing what does the poeple want, as in any other business I suppose. You need to feel the need, and the need of people was more comfortable interface with perosnal contact and brand new, original things they have never seen in big players membership propositions. They made it up and it is for free, just in front of everyone. If I look on the competition, it must have been quite hard for fresh company like Payeer to get to the lead, or to even make a real rival to big players like PayPal, OKPAY, Payza and so on (and there are many more of them). It seems quite ímpossible that Payeer did it in less then four years, because now, its almost exactly the same time as when Payeer was officially registred (just four years further) and they are more than a rival to those big players, they are more like a nightmare to them! Guys, As being insightful in this particular overview- me plus our close friend pretty much prefer Payeer, there is top-notch professional support + guys it can charge anyone just ¥0 to enroll..
Payeer was registred “only” 4 years ago and yet it has been a great payment platform to me. I love what these guys in Payeer been doin for the community, I mean some companies have to persuade the people about how they are doing everything just to satisfy their community but Payeer dont have to say anything, they are just doin it! Thats what I love, thats real! As an example I can point out an option to create your own e-curreny exchange website, which is completely for free, and get some % of Payeer owns profit! I mean what more could they give you than a part of their money, huh?! Another think is that you can also invest money to Payeer, since they have been promisin you the ROI in 6 months or less, still not enough to you?! How about 24/7 support that never let me or my referrals down (and I actually never ever read about someone who was mad with their support, these guys are just so coool) or their famous referral system? We can find alot greatness in Payeer 4 years work and if you try their services, I think you will be pretty sure why they grew up so fast that they are destroying PayPal or PerfectMoney in growth, check them out! To be honest I havent tried Payeer yet but Im deciding about new e-wallet and I read lots of positive experiences with it. Im just about to start my new online business and I need someone who I can rely on. I mean I really need to have my money sent, I cant afford any transaction problems with my clients.. so everything has to be fine. I think I will give Payeer a try, am going to trust you guys here since AffGadgets never put me down in the past I will let you know how it goes! So if I get back to the product itself (sorry, I couldnt help myself with that intro.. am pissed! ), I dont think you could find anything better than Payeer on the market right now. 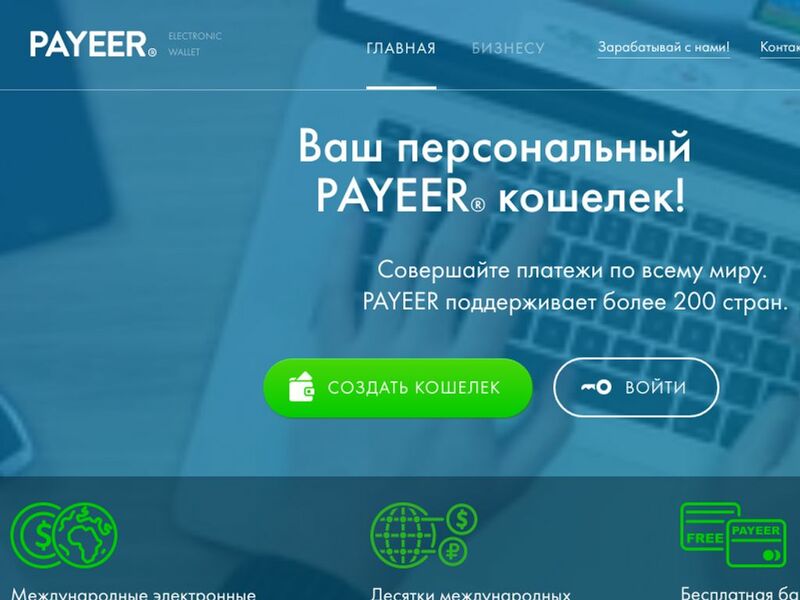 There are no limitations, transfers between Payeer accounts are all FREE and you can also exchange money with other payment systems like PayPal or OKPAY easly and the fees stay pretty low (usually under 5%). I think I have seen it in one of the comments here but I cant forget to mention the referral system, which is just awesome with Payeer. The idea of six-level referral system is real! If you dont know what that means, learn bruh! Cuz you are loosing plenty of cash right now.. I started with Payeer e-wallet couple months ago and I cant be more happy with their service. I dont read those reviews around these forums for “intenret marketers” who are actually the kids trying to upload some Youtube sh_t with a same dream of becoming an easy millionaire. Yes – those kids who look and write like they were pro marketers are making your decisions about products you should buy… bullsh_t. I will rather check some high-quality reviews from trusted pages like Affgadgets or Wishpond or try the product myself, which is what I have been doing the most and what I suggest to you all, instead of spending hours of reading nonsense “reviews” from “marketers”. Some people are still complaining about Payeer as a “new and not that trusted” e-wallet. That happend like 4 years ago when everyone on the internet (on “Payeer review” forum posts) wrote that PayPal is better and the only reason was that “Payeer was registred recently = Payeer cant be trusted”. Okay, I might understand it that time (well I still dont understand why it CANT be trusted if its a new project, but I agree that some people might get scared when they see something new). The fact that I love the most about Payeer is that it supports not just usual and most common options to send and receive money like PayPal or VISA and MasterCard but it also supports us (eastern people from Russia or Ukraine) so among the other special options like BitCoin, there is a possibility to send or receive money with Yandex.Money, OKPAY or even my own bank account in Ukraine! I love how complex and flexible Payeer is and that’s why I want to stick with them for ever! I give 10/10 for sure! I read alot of reviews and opinions on Payeer and I really consider joining their community. Im using PerfectMoney for a while now and I must say when I see all the benefits Payeer is giving.. I have to think about my decision again. 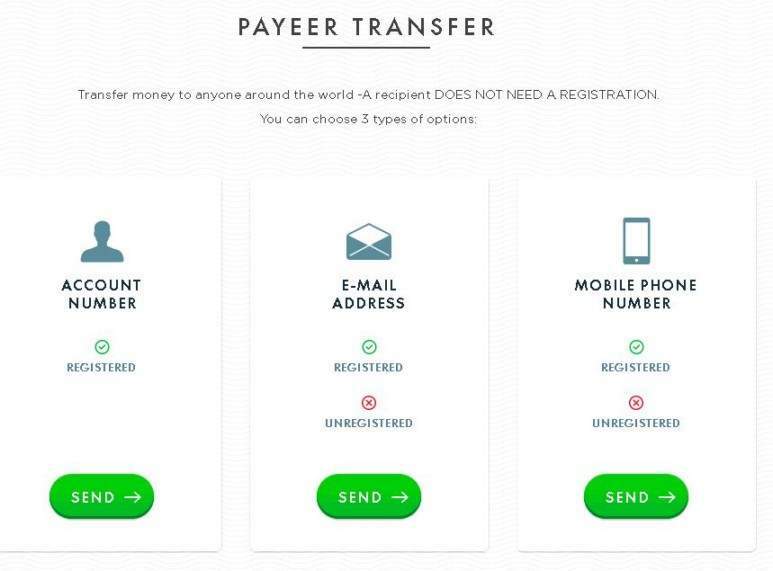 An idea of free transactions between each Payeer accounts is just awesome! It also accepts payments and transactions from over 150 different payment platforms but you still have just one wallet in Payeer plus there is a wallet for BitCoin! 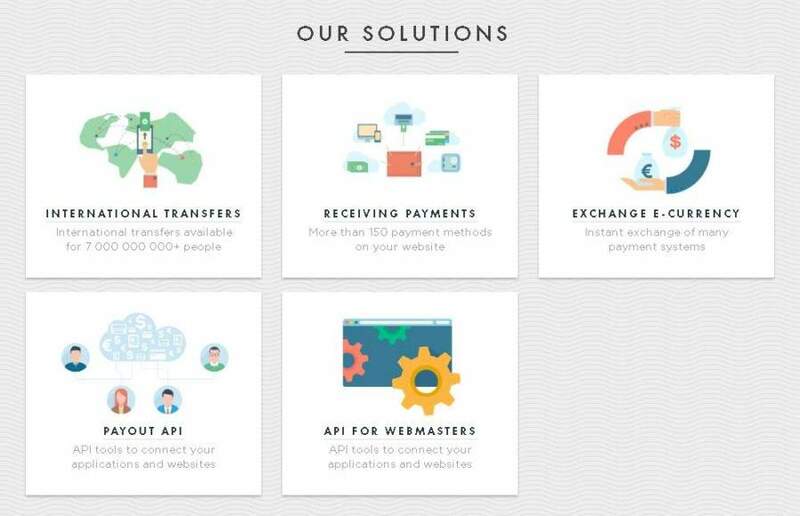 I could go on with many other positives of Payeer like many ways of withdrawing your money with really low fees and available API for automatic mass payments and so on… It has so much to offer! I think I persuaded myself in this post.. I will just end up reading through these reviews and finally give a try to Payeer! Anyway – I took most of my offline clients to Payeer and I also started some online projects (with me friend and even solo) and I even started to gain some online referals to my affiliate network (I was just placing Payeer banners on every page I had). Now the magic came true and I am alsi getting some nice bucks every day just because of random daily transactions of random people – and that is jsut awesome, isnt it? I think that the right combination of simplicity but really advanced interface and services is what makes Payeer such a great platform to stick your money with. I was a complete noob on the internet and handling finances and stuff. I started with Payeer because my friend (who I haveve started my online marketing career with) have been using it and what’s more, he has been making quite alot of money with it also (which was a complete magic for me in that time). So i really wanted to start something and I did. Creating an account looked easy and it’s for free, so I gave Payeer a chance few months ago and it literaly blew me away! I travel a lot so I need as much flexibility as possible in a whole life. Payeer is giving me what I need and helping me not only with my business but also with my life. I can transfer my money easly to so many currencies and I can do so in so many ways that these guys in Payeer couldn’t have made it easier for me! I can transfer my money easly worldwide with no fee and I’m also able to exchange cryptocurrencies! To anyone who haven’t tried Payeer yet: you should fix that as soon as possible! You won’t regret! There are several amazing things on Payeer that you can point out. Some of them vere already mentioned so I will go ahead with my experiences. I need to get everything done as fast as possible and what I really know about Payeer is that they can provide you high-quality support 24/7, just as they promise. I have had some problems with some customers in the past and they helped me solve the problem in few minutes. I have also found out that Payeer security system is exactly what makes me feel comfortable. With password recovery, SMS notification and even an IP security, I can sleep well for real and that is what I expect from my payment platform. They have been gaining my trust since the start everyday because all of my worldwide transfers are made quickly and without any problem from Payeer side. I can only recommend them. No Payeer questions were found. Please submit your first question. Accept payment Start accepting payments on your website or app with Payeer merchant account. 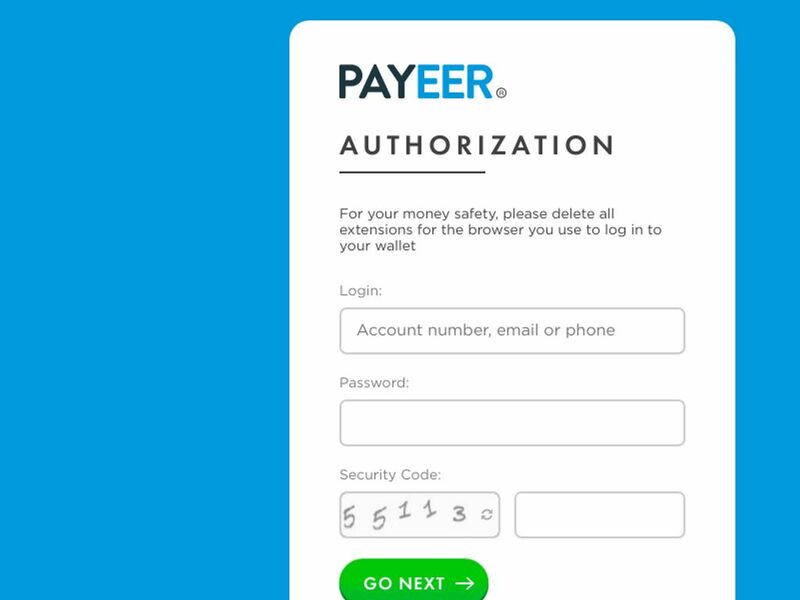 Payeer is accepting almost every kind of payment available, so you will not any payment from your visitors. 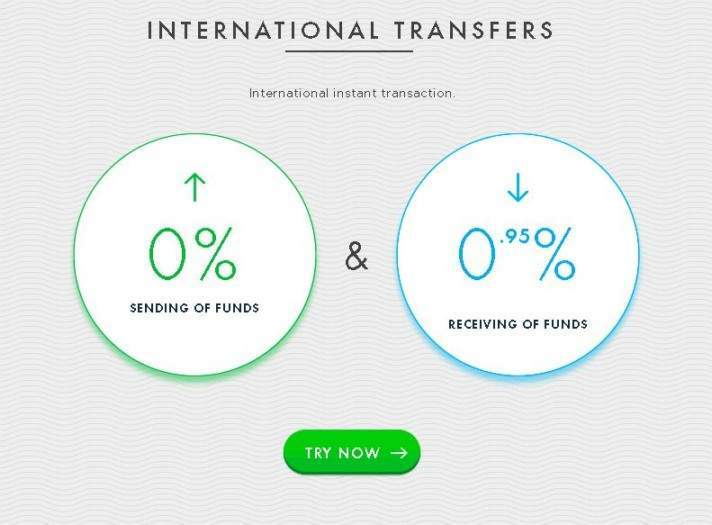 Easy transfersTransfer your money across the world with almost zero fees (0% from the sender). 200 countries +Almost every country in the world is accepted to Payeer personal e-wallet. Personal prepaid Mastercard Recieve your own Payeer mastercard with no monthly fees. Use your payeer account balance for things you love with their prepaid card. affiliate program Start marketing Payeer in order to gain Up to 40% from all transactions - additional info in affiliate area. Incredibly popular company A great deal of individuals individuals are strongly recommending Payeer, the popularity is moving up. 24/7/365 Support Get in touch with Payeer assistance staff using email. Earn up to 25% from all fees and transactions of customers you will refer to Payeer. This amount depends how many people are you referring to them. 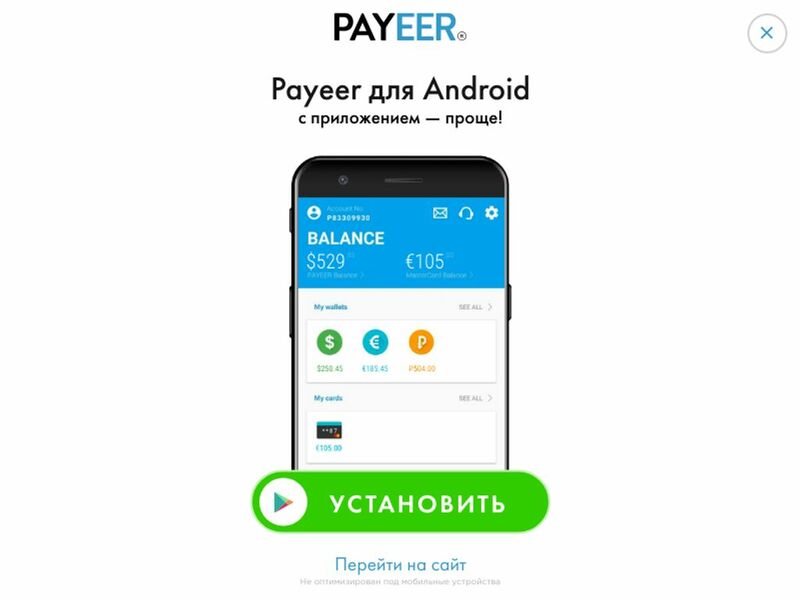 Do you want help with Payeer? Any complication with Payeer review? 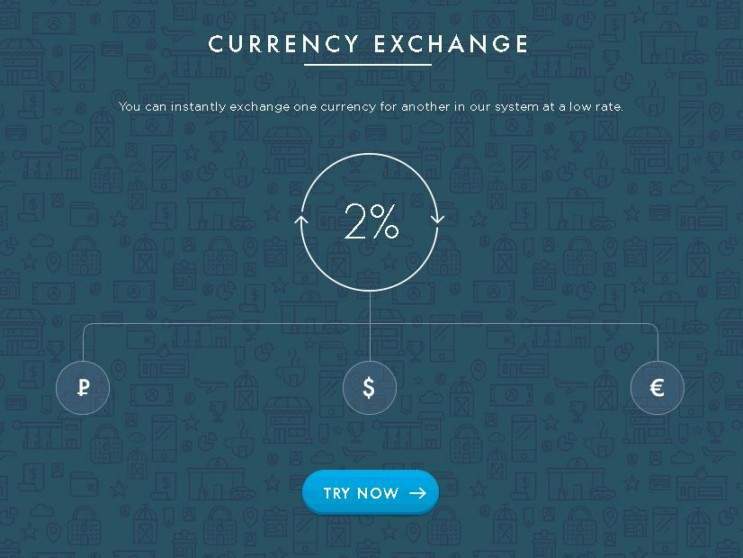 More Currency Exchanges Looking for alternative to Payeer ?